Show your pride, dedication and positive outlook with an attractive AA Birthday Dog Tag! 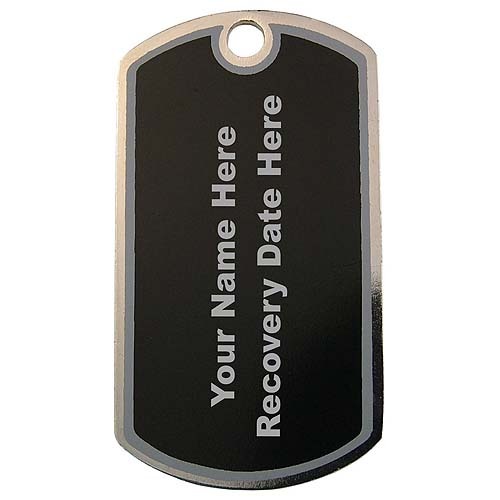 Not only is your length of sobriety designated by a Roman numeral, but you can personalize the reverse side your name and sobriety date, too! Each of these attractive dog tags is expertly laser engraved with an AA anniversary medallion design and One Day at a Time. 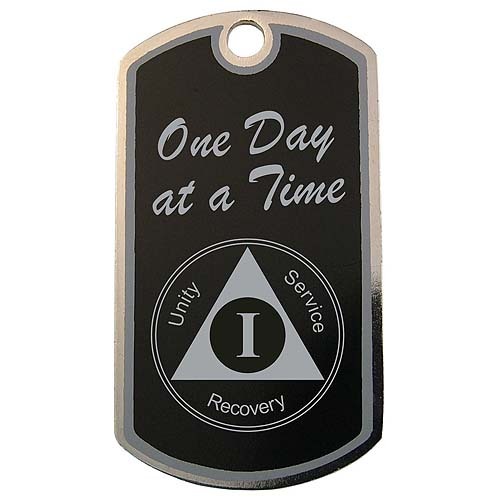 The reverse side is laser engraved with your name and sobriety date, too! Take your pick of a necklace or a key tag - or, what the heck? Get one of each! Simply choose from the pull down box above!